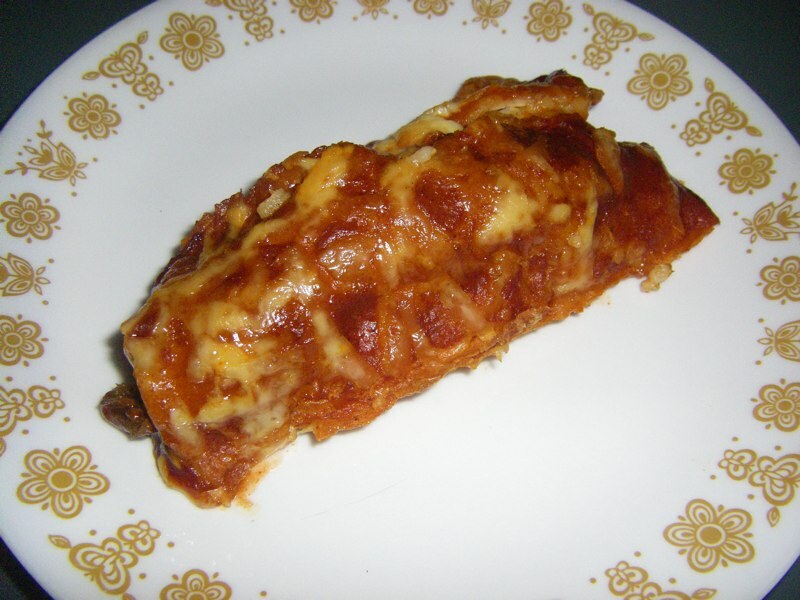 Enchiladas are similar to burritos except they are generally topped with sauce and baked. In order to withstand baking, it is preferable to use sturdier corn tortillas instead of flour tortillas and I won’t lie, even in the capital of Canada, it can be hard to find corn tortillas. If your local grocery store offers them, they are more likely to be found in the bread and pita section than the tortilla and taco section. 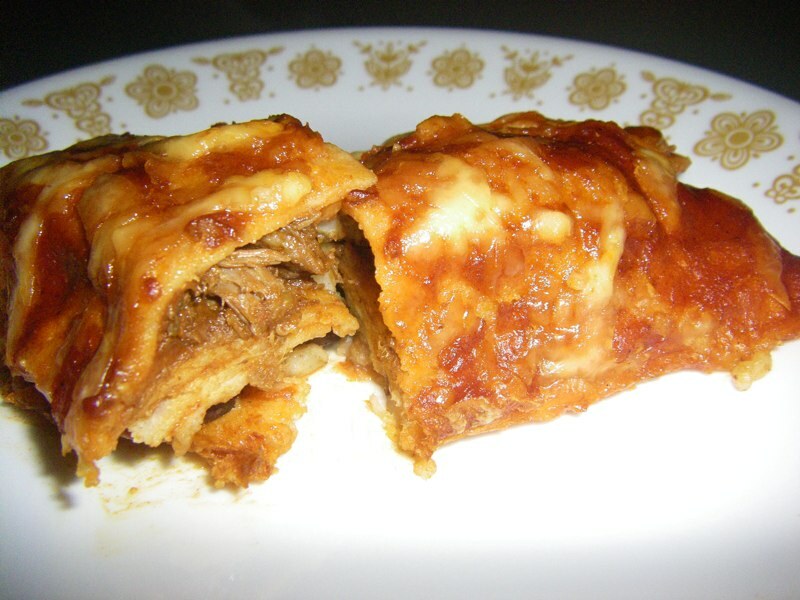 I make the enchilada filling with a mixture of rice, pulled beef, back beans and vegetables but this recipe is definitely adaptable. The vegetables end up inconspicuous, both in sight and taste, so I would be surprised if even the finickiest family members notice them. They blend right in and are important not only for nutrition, but also to make the enchilada filling lighter. 1/2 jar of salsa of your choosing (I used tomatillo green salsa). 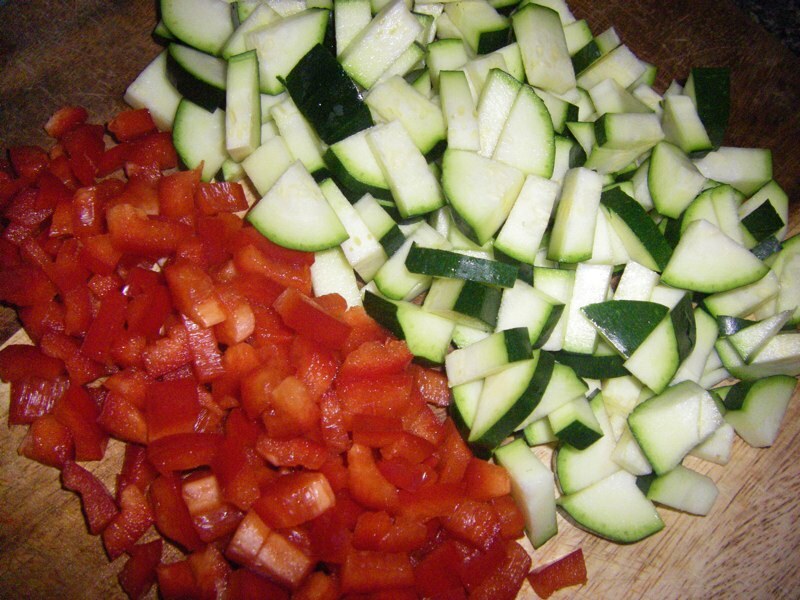 Vegetables such as onion, red pepper and zucchini. Optional: 500 grams of ground meat (or slow cooked roast beef) cooked in enchilada seasoning or taco sauce. 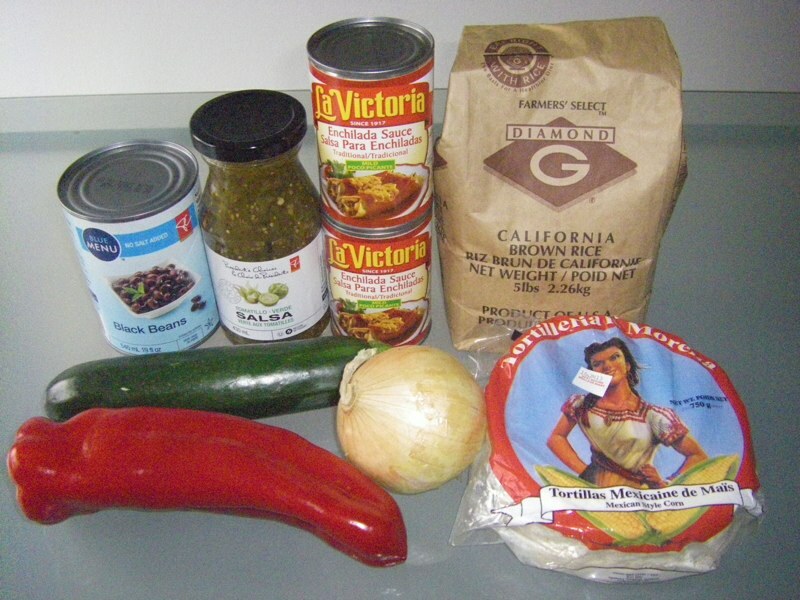 If you choose to include meat, you can cook up some ground beef, chicken or pork in some taco or burrito seasoning. 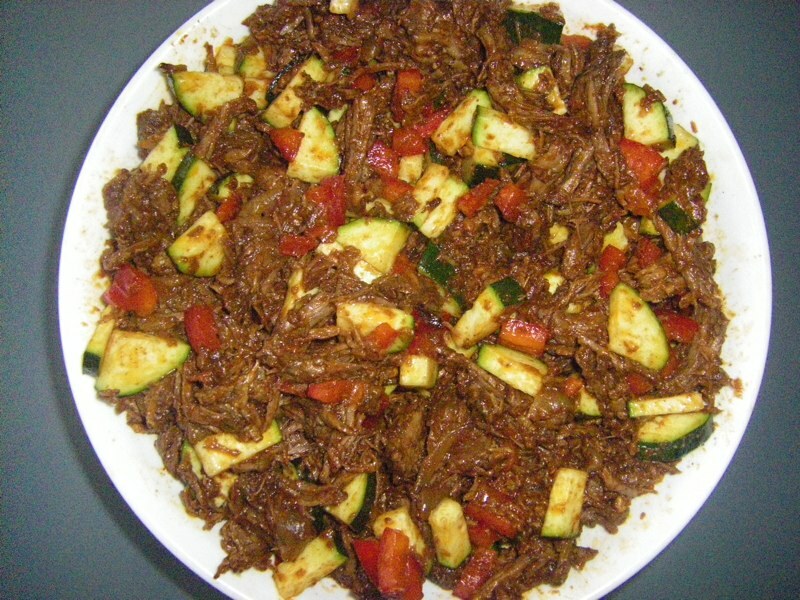 I like to go the distance and make pulled beef for this recipe. 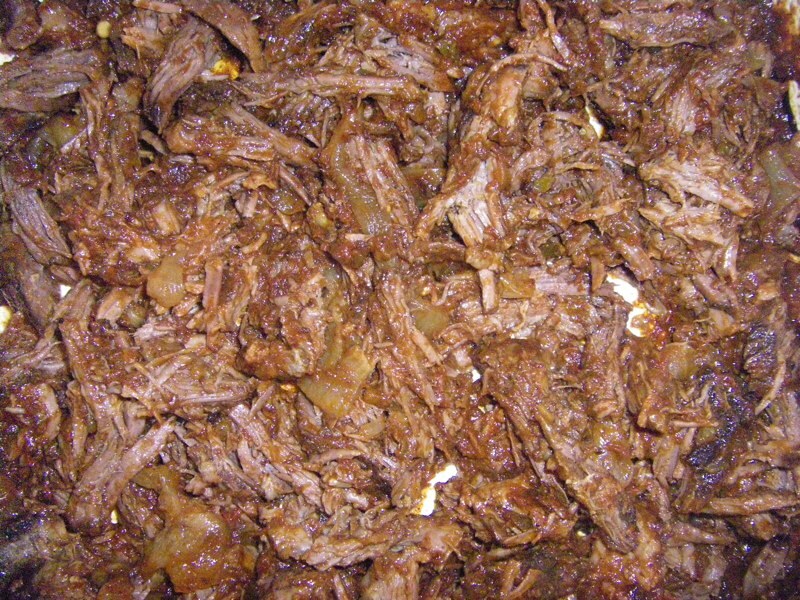 I generally cook the pulled beef the night before because it takes five hours to slow cook in the oven. Aside from the time though, I promise pulled beef is just as easy to make as ground meat and the difference is extraordinary. Your guests will love you forever! Follow the same steps as in my Pulled Beef Tugs My Heart Strings recipe, exchanging the BBQ sauce for taco sauce and possibly omitting the celery. Start the rice first as it will take the longest. 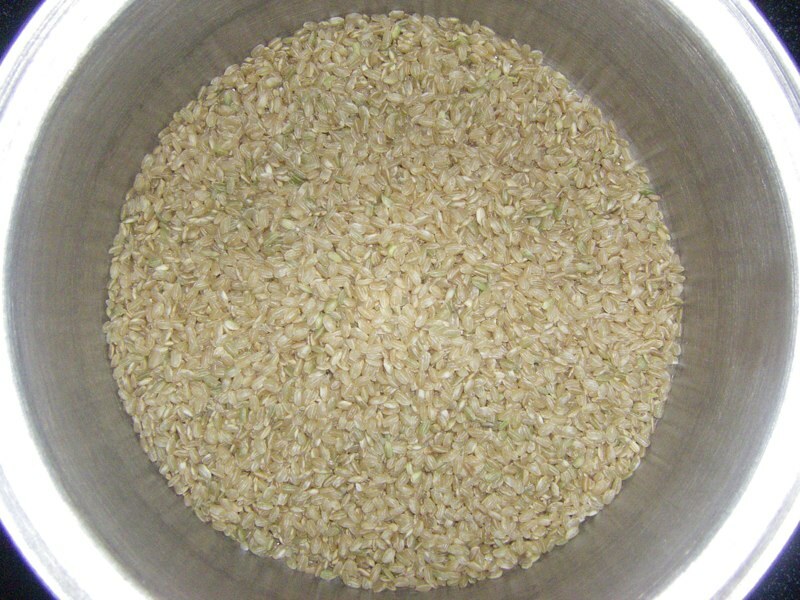 Place 1 cup of dry rice into a pot. Cover with 2 cups of water. Cook on high until boiling, then reduce to low until all of the water is absorbed, about 20-30 minutes. Or double it if you want leftovers for Rice Pudding for dessert or tomorrow’s breakfast! I often make the rice the night before for this recipe while slow cooking the beef. Add the chopped vegetables to the meat to make stuffing the Enchiladas easier later (or just place them in a bowl on their own if you aren’t including meat in the dish). 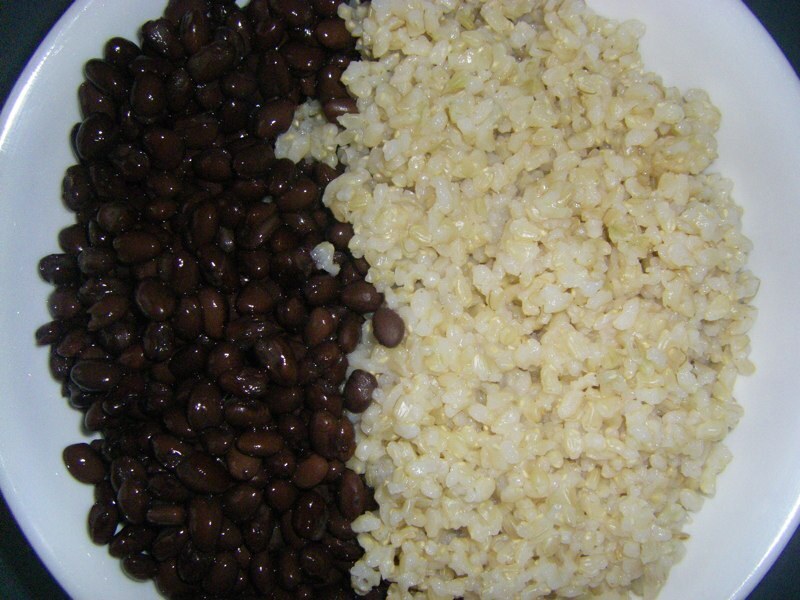 Once your rice is ready, mix with the black beans. 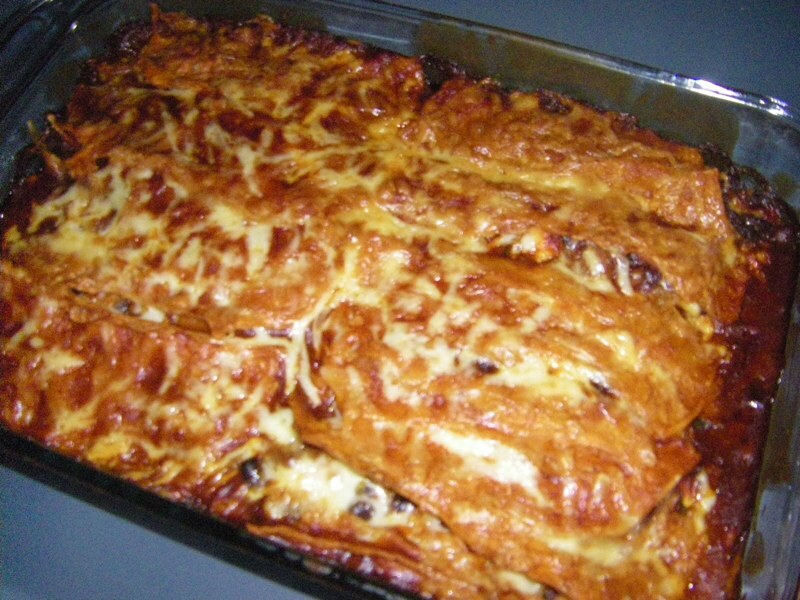 Again, this is just to make stuffing the enchiladas a bit easier. It is nice to just grab from two bowls for stuffing instead of many. Get yourself set up for the enchilada stuffing experience! 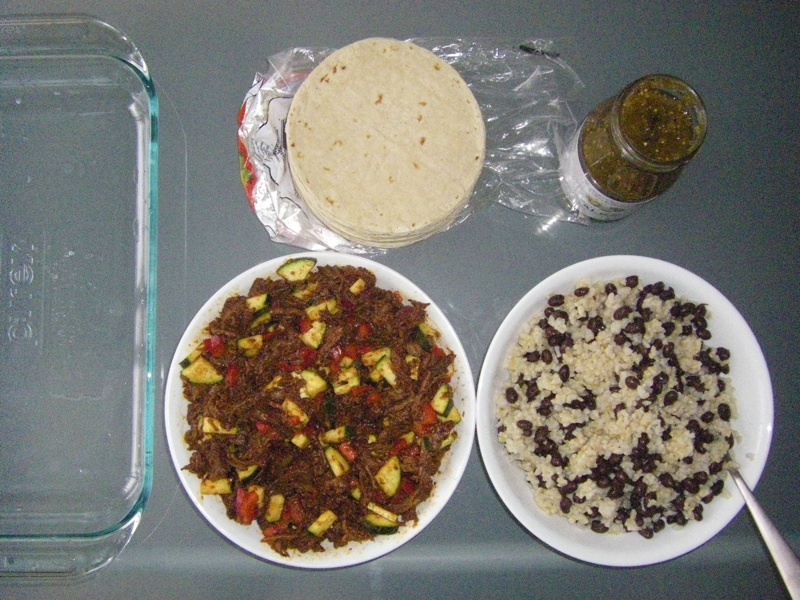 Place a 9×13 baking dish, the corn tortillas, salsa, meat and/or vegetables and rice plus bean combo within reach. Throw a spoonful of the meat, rice and salsa into a tortilla, roll and place into the baking dish. Repeat 11 more times. 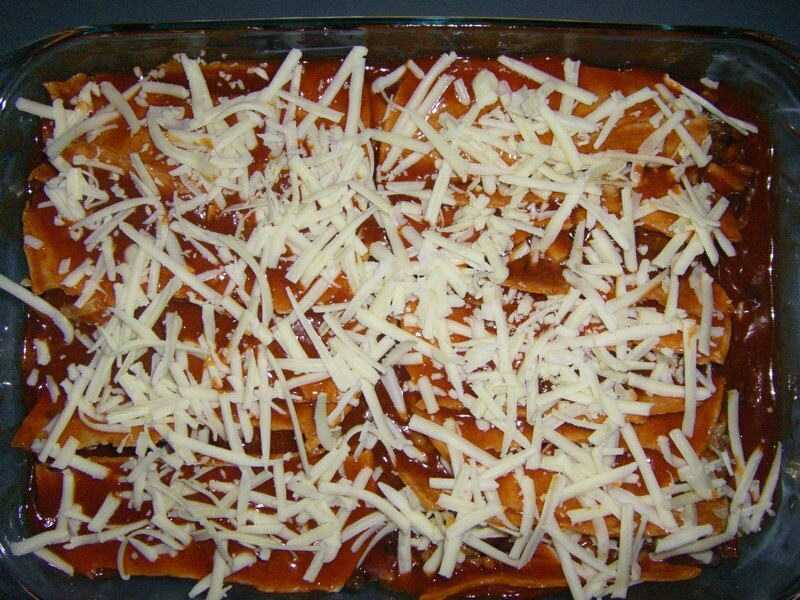 Cover with both cans of enchilada sauce, and possibly a bit of grated cheese to cover up any mistakes. Let sit 5 or 10 minutes before serving if you can bear it! The best part is every food group (and almost no fat) is hidden in that deceivingly delicious package. Well, there isn’t much dairy, but that’s the way I like it and you could easily fix that if it was important to you. Get ready for some very happy tummies! Jump up.